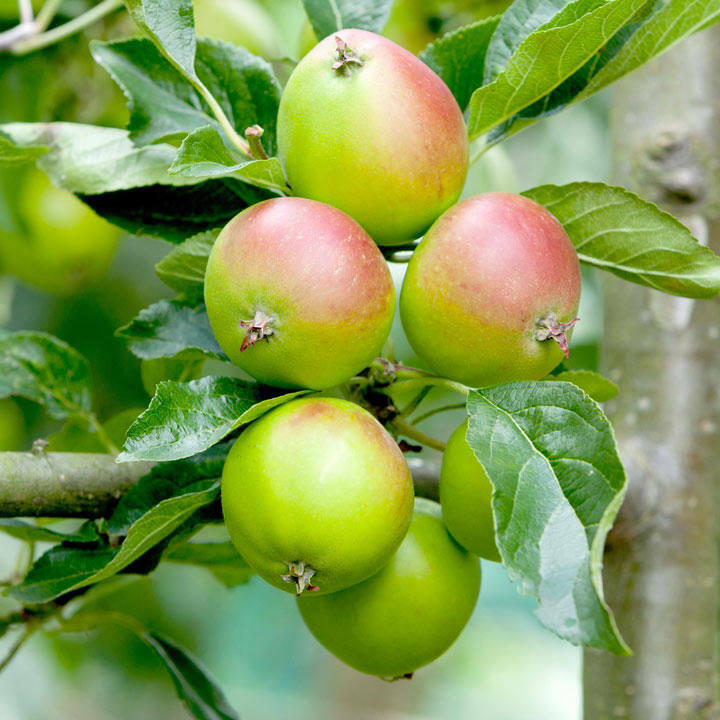 “Developed from Cox’s Orange Pippin in the 1970’s, this means ‘Fiesta’ has that traditional flavour, both sweet and sharp, it also keeps its shape when cooked and has the orange flush of traditional English apples. ‘Fiesta’ is also one of the best apples for juicing as it gives so much juice from each apple, it also keeps well thanks to its other parent, the American ‘Idared’ apple.” Flowering group 3. Harvest late September-early October. Height 2-3m. Self fertile on M26 rootstock.